Hull - 14697 E. 50th St. Location, Location, location! This 3 bdrm, 2 bath with a den is located on the wash with incredible views of the mountains! Open & split floor-plan with tile floors except 2 bdrms, RO & SW systems, granite counters in kitchen, breakfast bar, security doors & windows, alarm, master has french doors to back patio MB has double sinks, Jacuzzi tub, walk in shower & closet! 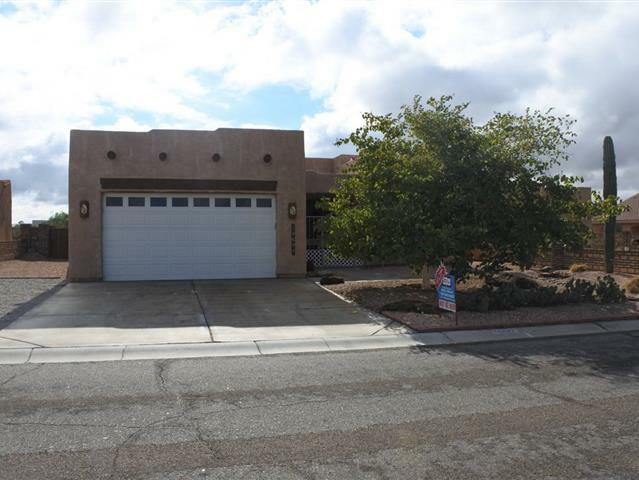 Nicely landscaped with stamped concrete, covered patio w/ extended pergola, RV access with 50 amp service & so much more! Call now to view!